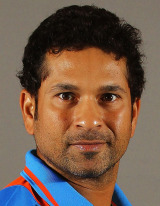 Happy fortieth birthday, Sachin Tendulkar. Celebrate. Enjoy the IPL. Then retire. Please. This entry was posted in Cricket, IPL and tagged Sachin Tendulkar. Bookmark the permalink.